Well fans, I know I just posted yesterday, but I couldn’t let a whole week go by without talking about last night’s game. As you know, I am an unabashed Alvaro Recoba fan, so when “El Chino” (I’m going to go ahead and translate that one as “the Chinaman,” even though I know that is not the preferred nomenclature) kicks out the jams, I have to pay homage. Look, the man is 38 years old. I don’t know how many more times I’m going to be able to do this. Last night was the final round of the Copa Whatever-the-Hell-It’s-Called-Now; in case you missed it, I discussed the first round in yesterday’s post. In the first game of the night, Peñarol, fresh off a humiliating 3-0 defeat against my beloved Tricolores, played the Paraguayan Nacional (because life is cruel). The Manyas lost 2-1 to take 4th place in the friendly tournament (out of 4 teams) and quickly put into doubt the future of brand spanking new coach Pablo Bengoechea (yes, 4 friendlies in, people are starting to whisper). But whatever; let’s get to the important stuff. 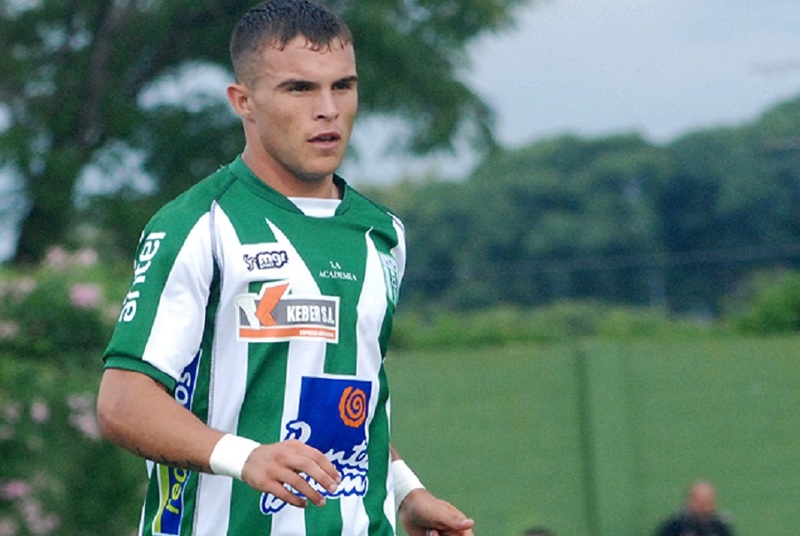 In the nightcap, Nacional (the Uruguayan one) took on Sportivo Luqueño for the title. So far this preseason, coach Alvaro Gutiérrez has done a good job of slowly rotating his starters into action while trying out subs and reserve team players, and last night was no exception. The big news was the announcement that Recoba would be in the starting lineup; he ended up playing 65 minutes and being instrumental in Nacional’s 3-2 win. Once again, he was the master puppeteer as Nacional outclassed Sportivo and added yet another trophy to their recent string of successes. Recoba provided the key passes on both the first and third goals, and had two shots saved by the posts – one taken from near midfield, and another barely saved by the Paraguayan keeper. This is the play that led to Nacional’s second goal, as Recoba took the ensuing corner kick and yes, put the ball directly in the net as the keeper flailed at it. This is El Chino’s sixth career Olympic goal, and fifth since rejoining Nacional in 2011. I mean, have you tried kicking a ball into the goal from the corner spot? It’s hard enough to do by yourself, never mind with a keeper and several defenders in the way. 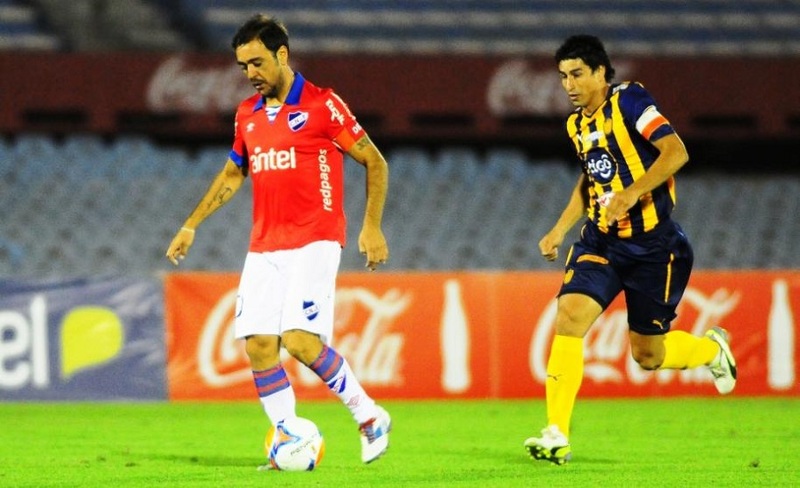 At this point, I just don’t know what to say about Recoba’s second Nacional stint. It’s like having Neo on your team. Whenever he’s out there, Nacional is a different team – one that can exploit the smallest of defensive openings. Again, it’s a preseason friendly. I’m not saying this win meant something. 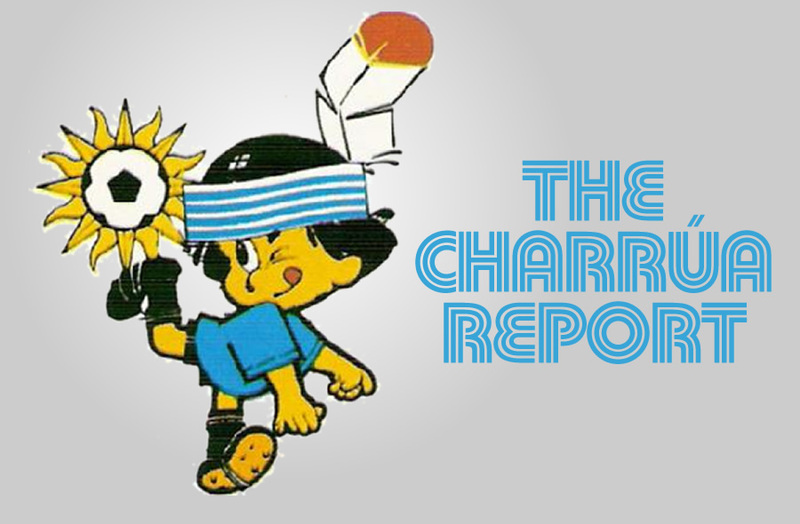 I’m saying sit back, relax, and enjoy El Chino. On a side note, one of the election campaign promises made by Damiani’s camp was that Peñarol’s new executive council would beat Nacional “on all fronts,” addressing the perception that the team has lost ground not only on the field, but also in the economic and political spheres (never mind that the people promising to reverse that trend were the same ones that started it). Well, so far in 2015 the team has not looked competitive on the field, and yesterday it lost a crucial battle off it. A few days ago it was reported that negotiations were ongoing between Peñarol and Apertura runner-up Racing for one of the latter’s key attack pieces, winger Cristian Tabó. Nacional is pretty much set up front (so much so that they keep rejecting Sebastián “El Loco” Abreu‘s pleas to rejoin the team), but they immediately started talks with the player’s agent, and yesterday those talks proved fruitful, as Racing agreed to a Nacional offer of cash and the loan of a couple of young players. Sorry, Peñarol; I guess there’s still the political arena; too bad it was you who led the effort to unseat the current association President in last year’s elections, an effort that ultimately failed, in part because of Nacional’s unwavering support for the incumbent. Hey, at least the new stadium is still being built, and it looks like a beauty!